IT’S NOT REALLY WORK WHEN YOU LOVE WHAT YOU DO! 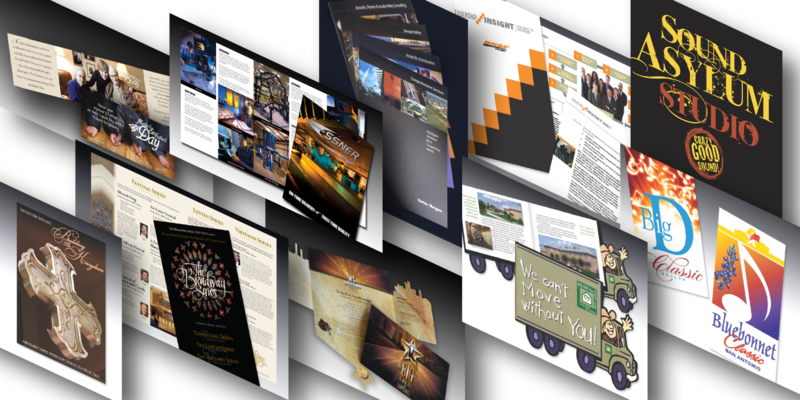 Our client’s success is what inspires us to provide great graphic design services. We are drawn to mission-driven people and companies that believe success is a byproduct of their passion. To us, everyone is a designer. Your opinion matters and shapes the design. We encourage participation from everyone on the team because every voice is important. We listen. We strive for constant improvement. Rarely is anything perfect on the first try. We are in the business of continuously making the design better through ongoing feedback and experimentation. Leave your name and email below along with what you are looking for in the message box. Or you can call us at 817.929.0519.